The logistics management career will be suitable for recent graduates with a good undergraduate degree who want a broad understanding of logistics and supply chain management and wish to prepare for a professional role and future career in the field. It also helps professionals in the sector, who are in the early stages of their career enhance their knowledge and skills and move to the next level professionally. Earning an MSc in Logistics is a great way to propel student’s management profession in science, engineering, or business. This program is perfect for scientifically minded students looking to gain experience working at the management level of engineering, economics, or other mechanically related companies. Many of faculty are regarded as leading experts in this area, combining excellent reputations for teaching with experience drawn from the commercial world. University approach to teaching is designed to nurture the student’s practical business skills and confidence, and places huge emphasis on real-world challenges. The students will gain an in-depth understanding of supply chain strategy and sustainability, how to analyse and design effective supply chain operations, how to use data, models and software to solve problems and inform decisions, the role of warehousing in modern supply chains, procurement strategy, inventory, operations management, accounting, freight transport and project management. Modules include a combination of interactive lectures and workshops, case studies and presentations from high-profile visiting speakers. In addition to the modules, the individual thesis offers the opportunity to apply the knowledge and skills students have developed on the programme. The students will gain first-hand experience of how supply strategies in the region are influenced by different pressures (both internal and external) and they will gain a rich understanding of the differences between supply chain practices. 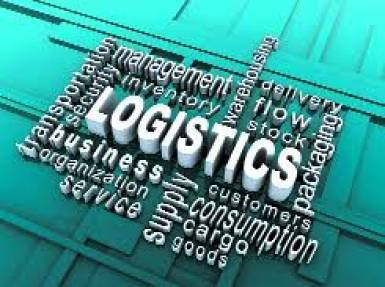 There is a large demand for logistics and supply chain analysts with good modelling skills. Graduates from this course can expect to work as logistics analysts, supply chain analysts, business consultants, business analysts and database managers. The faculty team’s experience and advice drives the continued development of supply chain courses ensuring they are relevant for today’s global supply chain environment. The faculty is also supported by a diverse team of international visiting industry speakers and professors. The course comprises several modules and elective modules. This enables the students to tailor the course to suit their personal career plan. The culmination of the learning process is the student’s opportunity to undertake an individual thesis project which is in-company the topics of which cover a broad range of areas. The university offers a unique opportunity to experience a supply chain perspective in different economic regions in Europe.